Would you buy a new games console every year? 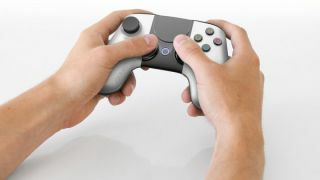 Ouya plans on launching a new version of its Android-powered games console every year, according to CEO Jules Uhrman. That means if you want to stay up to date with the latest games, you'll have to upgrade every 12 months, like with a mobile. "Our strategy is very much similar to the mobile strategy," Uhrman told Engadget. "There will be a new Ouya every year. There will be an Ouya 2 and Ouya 3." And just like mobiles, each new version of Ouya will be a minor improvement rather than a radical overhaul. "We'll take advantage of faster, better processors, take advantage of prices falling," Uhrman said. "So if we can get more than 8GB of Flash in our box, we will." You won't lose any games when you upgrade your console though. Games will be tied to you - as on Valve's Steam format - instead of the console, so everything will be backwards compatible. Is this a good idea though? A lot depends on price. Considering we usually have a six or seven-year wait between consoles while technology advances exponentially, it would make sense to offer minor improvements as and when they become practical. Whether people will be willing to shell out for a whole new console every year remains to be seen. Ouya will cost $99 when it goes on sale in June. It'll be sold through major retailers like Gamestop and Amazon, and will run a quad-core Tegra A9 processor that whirrs at 1.6GHz. Performance should be helped somewhat by the fact you plug Ouya into the mains instead of running it off a tiny battery. The console is up for pre-order now for customers in the US.